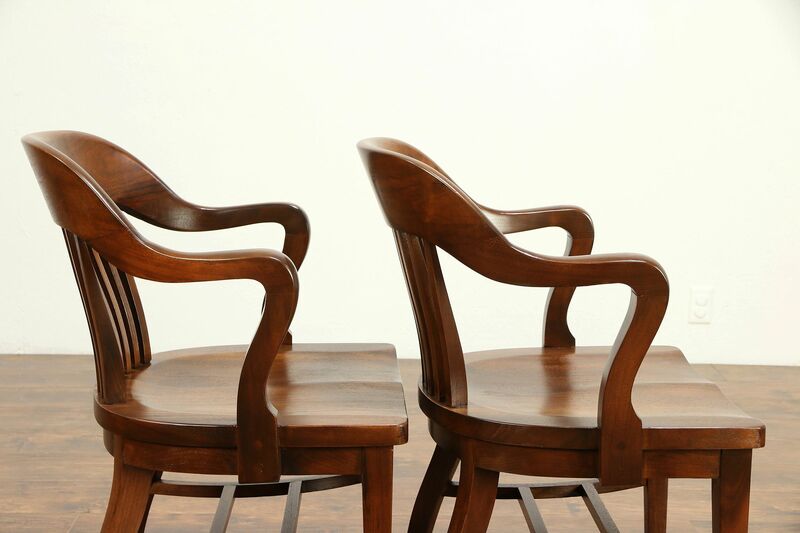 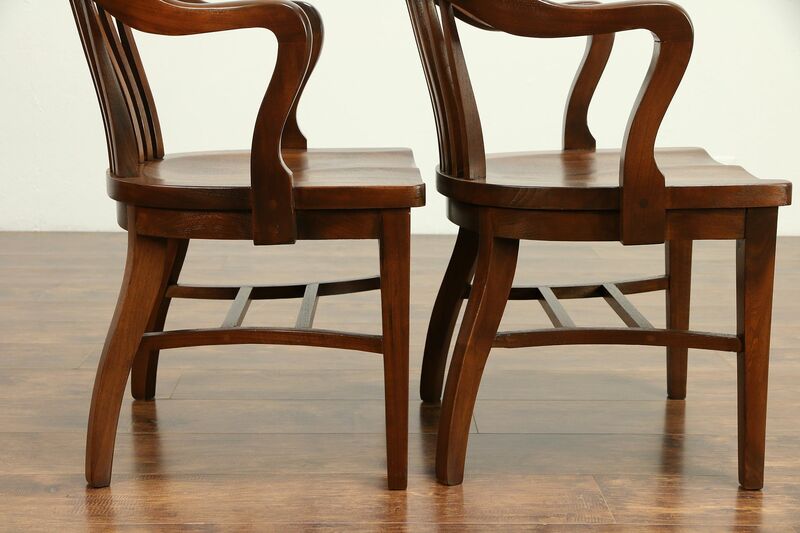 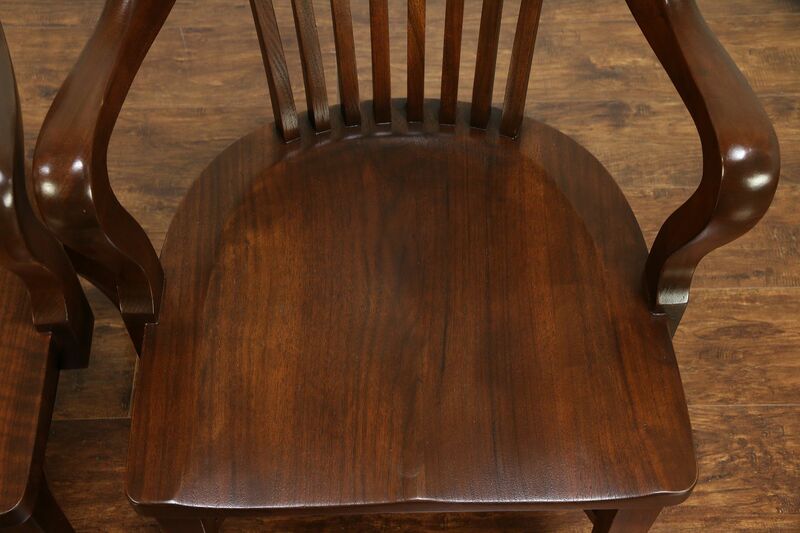 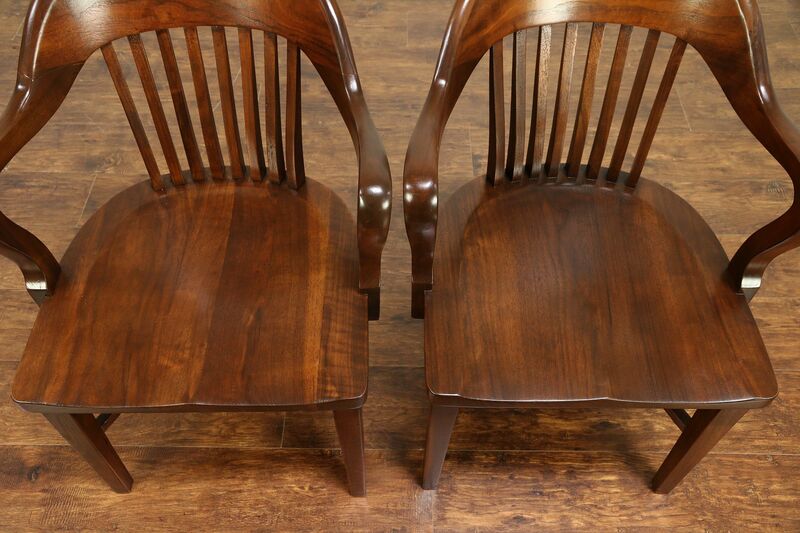 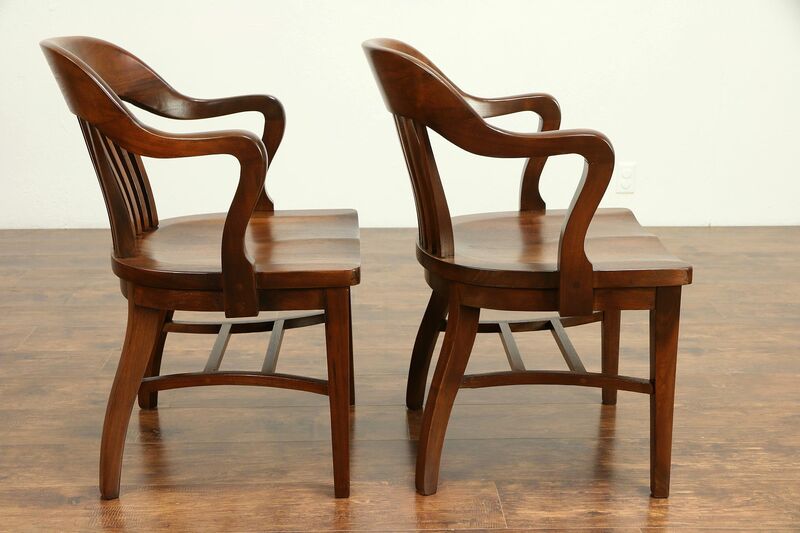 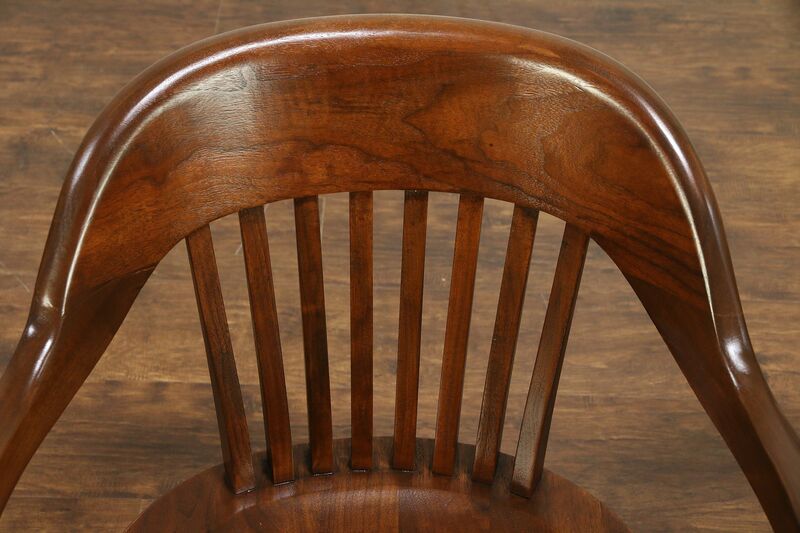 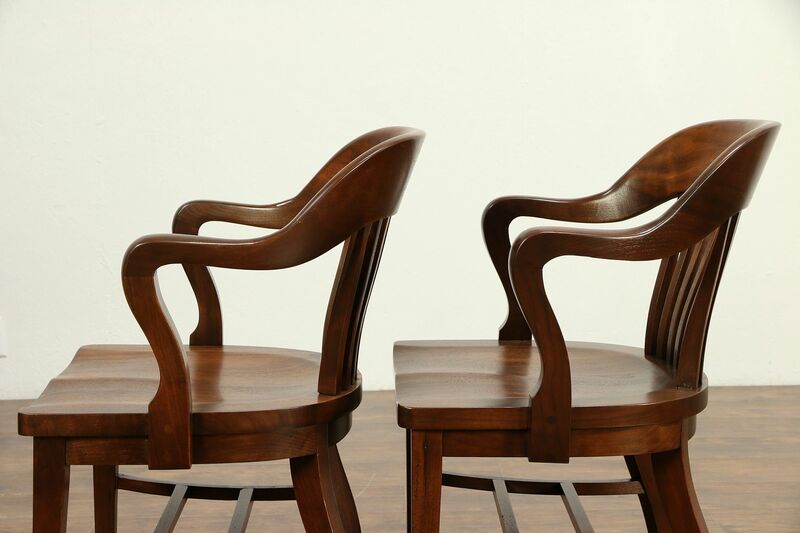 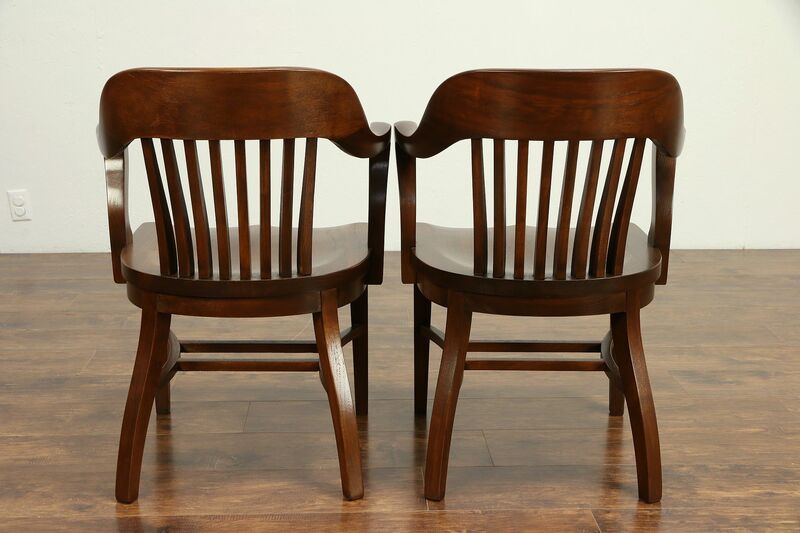 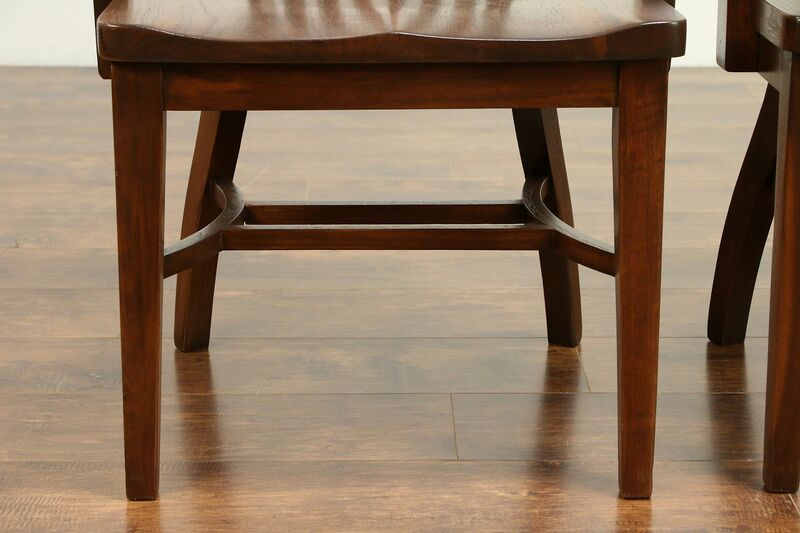 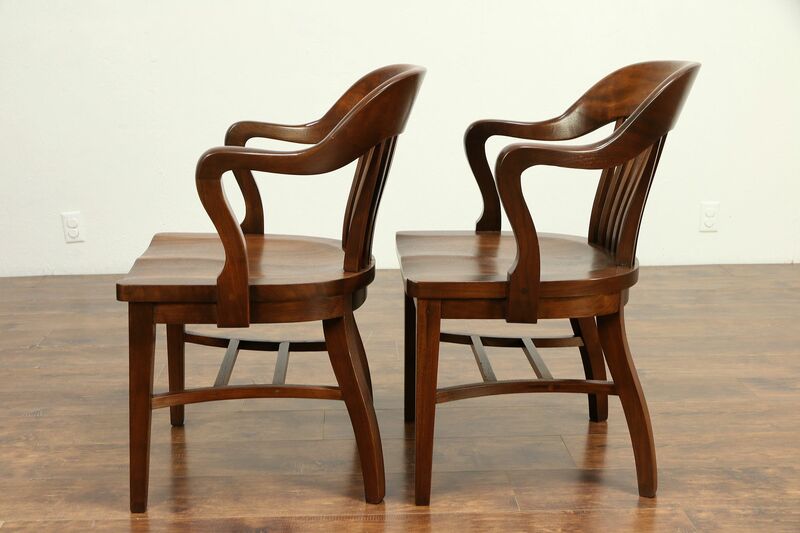 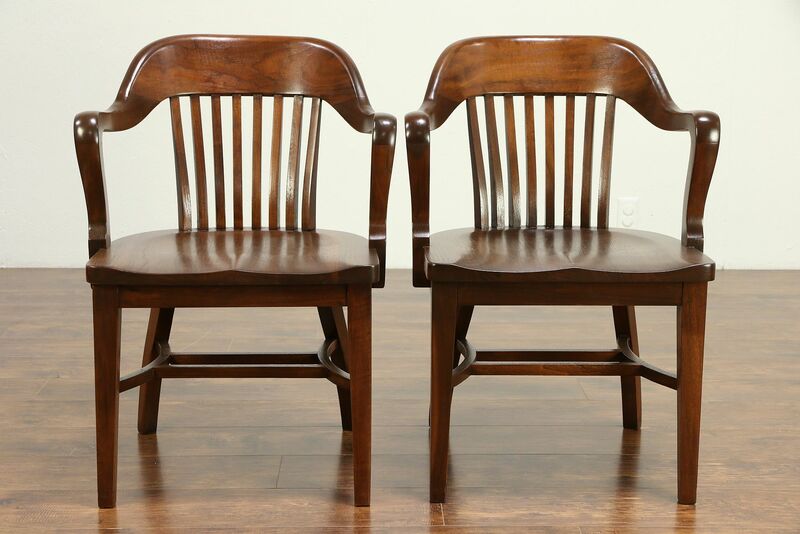 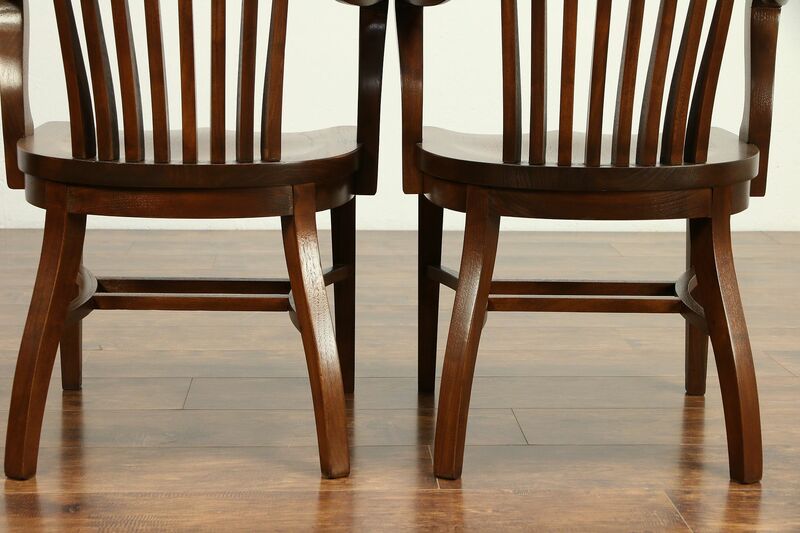 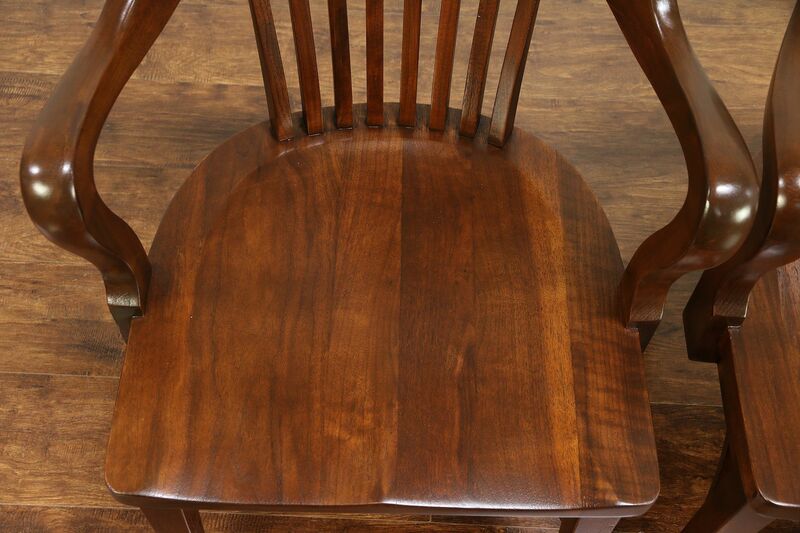 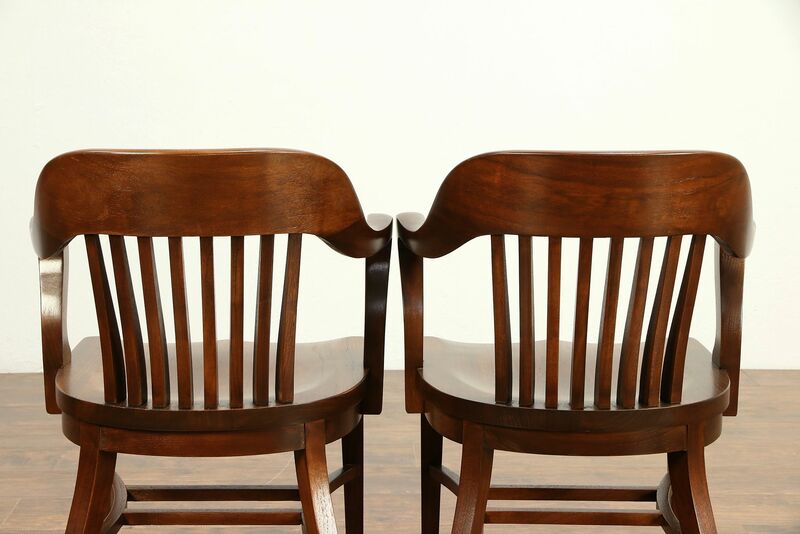 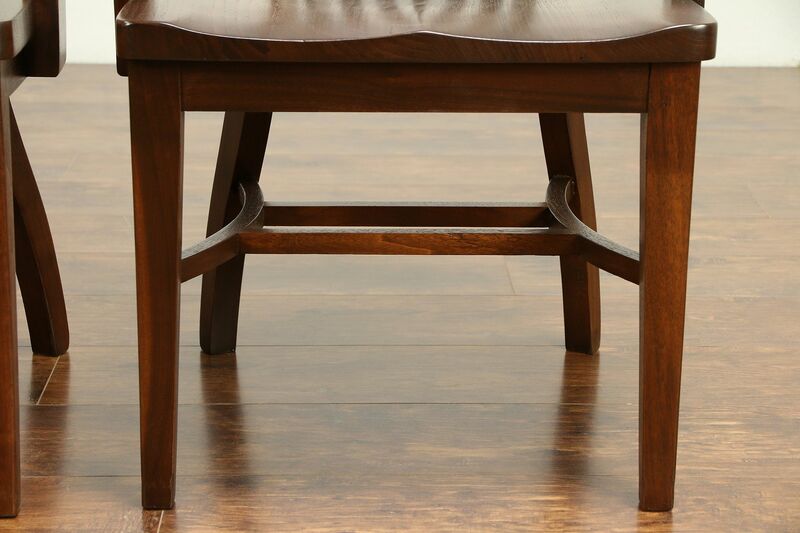 A pair of solid walnut banker's chairs from 1910 have curved lumbar spindles and sculpted seats for "ergonomic" comfort. 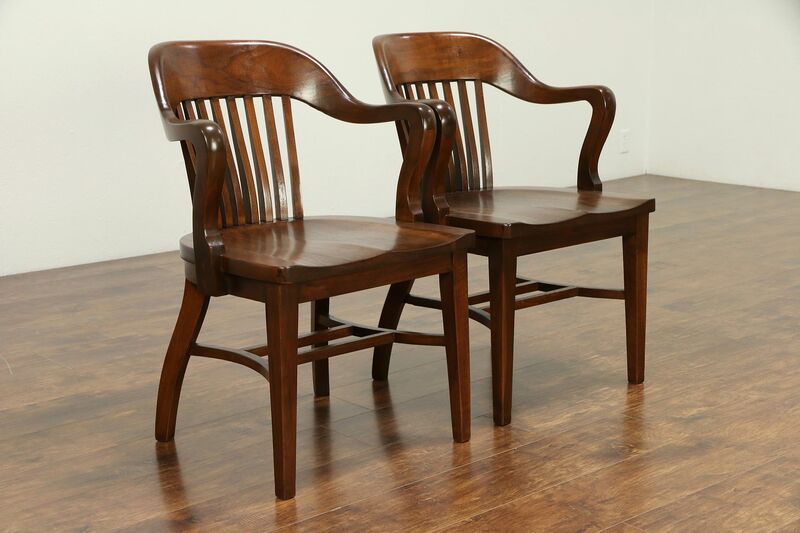 This American made antique library or office furniture dates from about 1910. 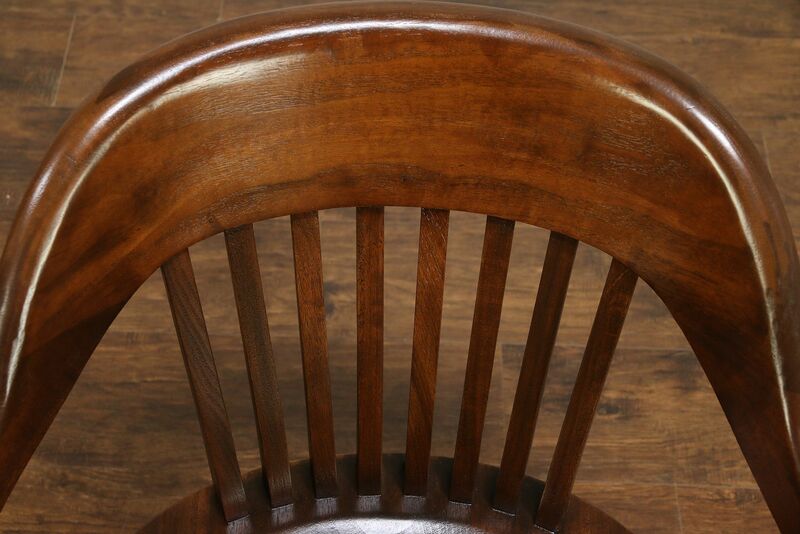 The restored lustrous finish is in excellent condition and frames are tight and solid, reglued to serve another generation. 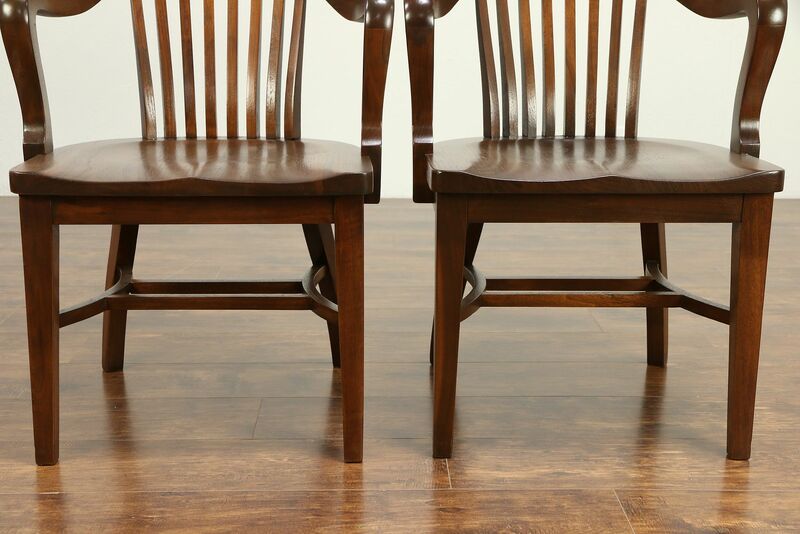 Size is 24" wide, 24" deep, 33" tall and seats are 18" high and 18" deep, arms are 28" high. 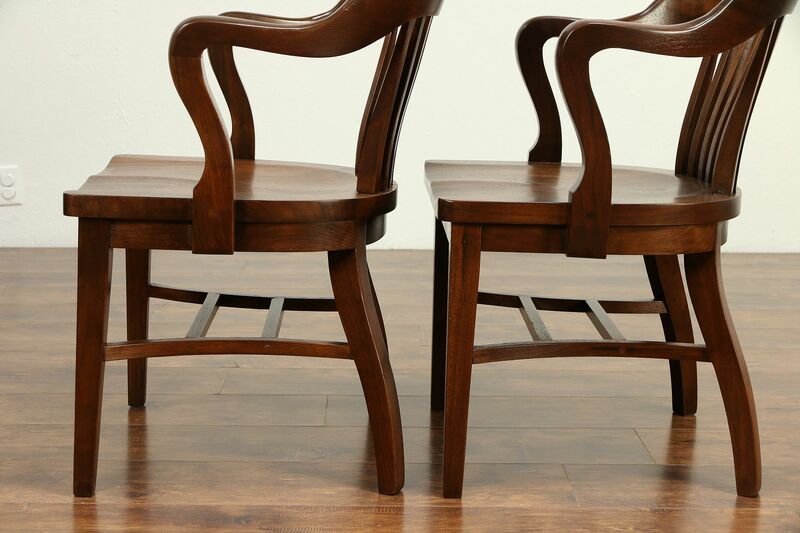 Please view 19 photos at full screen size for best detail.